"Let us tell an old story anew . . ."
Growing up, "Sleeping Beauty" was my absolute favorite Disney movie. Aurora was my favorite princess, the film's plot was my favorite storyline, and Maleficent was definitely my favorite villain. In fact, out of all the Disney movies to date, she's the only villain that ever really frightened me to the core. Compared to Ursula and Cinderella's stepmother, Maleficent was the only one I ever considered "spooky". However, no matter how much she scared me when I was still a child, there was also something about her that was quite fascinating to watch. 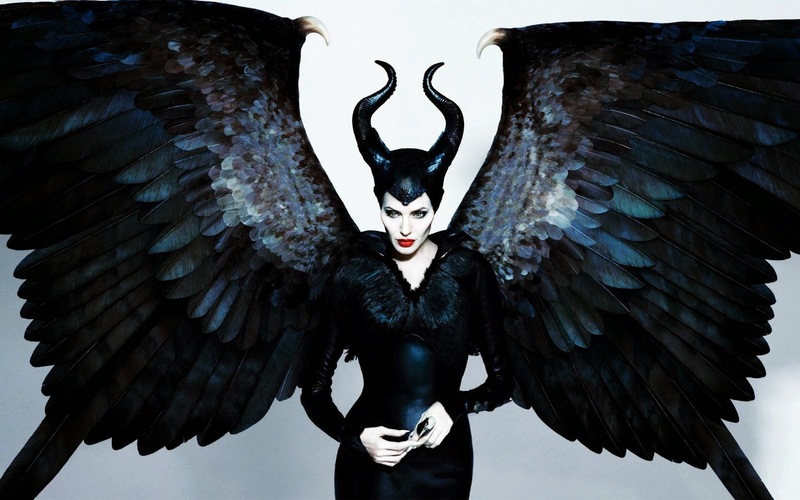 That's one of the main reasons why I have been eagerly anticipating the release of the "Maleficent" movie starring Angelina Jolie -- I just couldn't wait to discover more about my favorite evil fairy! The movie started off depicting Maleficent's childhood. I must say, that as soon as the film started, I was immediately impressed by the visual effects. The land which the fairies inhabited was extremely beautiful, and the storyline surrounding Maleficent's early years was incredibly interesting. Of course, the story differs slightly from the familiar fairytale we've come to know and love based on the cartoon, but to me it was a welcome change. Now that I'm an adult, I could appreciate the complexity of Maleficent's past. In this version of the story, it is revealed that Stefan (Aurora's father) had actually met Maleficent when the two of them were still kids, and they both quickly became friends. Throughout the years, their friendship escalated into something more romantic, and Stefan and Maleficent were very much in love with each other. However, Stefan started to become blinded by human greed, and in order to become king, he betrayed Maleficent and cut off her wings. I can't even explain how heartbreaking that scene was, and unsurprisingly, Angelina Jolie KILLED it with her superb acting skills. I won't give the entire story away in case some of you haven't watched the film yet, but I highly recommend you all to go ahead and watch it. The plot of the movie is a nice take on the original fairytale, and the entire cast did all of their characters justice, with the exception of Prince Phillip who, in my opinion, should have just been cut out from the movie since his character was completely irrelevant to the overall storyline. 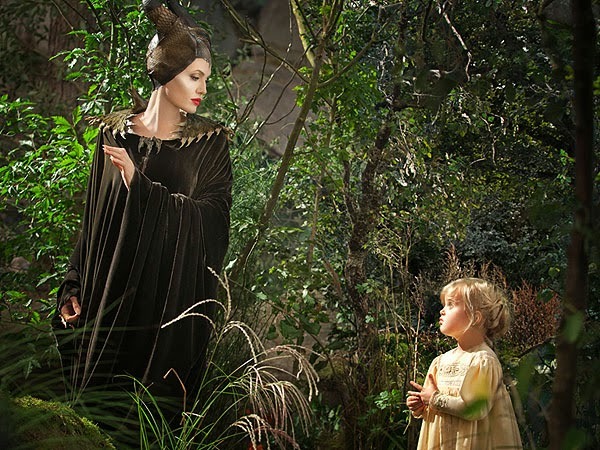 The dynamic between Maleficent and Aurora was also interesting because in this movie, the pair of them actually develop a type of mother-and-daughter relationship. One thing I would like to mention, though, is that the plot, while differing greatly from the cartoon version of the story, is still quite predictable. I managed to correctly guess two of the major "plot twists" at a very early point, so my suggestion would be for you to simply sit back, go with the flow, enjoy the visual effects, and not to take the whole story too seriously. Could the movie have been better? Yes, I believe so. But I still think that watching the movie in theaters was well worth the money I paid. If, like me, "Sleeping Beauty" was one of your favorite Disney movies while you were growing up, then you will surely enjoy "Maleficent". I'm sure all of you will appreciate the backstory of Disney's most feared villain. Have you seen this film yet? Let me know what you thought of it by leaving a comment below! ohhh I saw traillers for this movie and I really want to see it!! It's good to hear that you liked the movie because I'm putting it on my "to watch" list now hehe! I haven't seen this movie yet, but I'm looking forward to it! I really look forward to watching this movie!! Haven't seen Angie act for a while and I'm a sucker for fairytales!! Lovely post, amazing blog! Thanks for commenting on my blog! Returning the support as always! I really want to see this film! can't wait to see it~! I already seen it and I loved it!